Combining style and durability, the Jimmy Styks Misstyk Paddleboard is a great choice for female paddlers of every skill level. This ten-foot board has tough epoxy construction with an inlay of real bamboo. Includes an adjustable carbon paddle, fin,10-foot leash and board bag. Utility tie-downs let you keep your gear safe in choppy conditions. You can even share video of your adventures because the board includes a camera mount. The board is designed for the relatively smaller framed people. Of course, this doesn’t mean the board is weak. The epoxy and bamboo construction is strong enough to handle rough waters in lakes, rivers and oceans. Lightweight and maneuverable without sacrificing strength, the Jimmy Styks Misstyk paddleboard is a solid choice for women interested in a paddleboard to take in rivers, lakes and oceans. A great fit for beginners although intermediate users will also find a lot to like. The Misstyk is built to last with a durable construction. The base of the board is made from expanded polystyrene blank with a quarter-inch stringer. Then real bamboo is added between two layers of six-ounce fiberglass and epoxy. This bamboo veneer is applied to both the deck and bottom. Finally, a clear coat is applied to the entire board. This is a coastal cruiser suitable for use in practically any type of outdoor water environment. With a minimal arc along the rail, the board has a high level of stability. Coastal cruisers have a larger nose and tail rocker, making them a better choice for wind-chopped waters. This is an all-in-one board which requires no separate purchases. Includes a carbon paddle which can be switched between dual and single blades. A 10-foot leash prevents the board from floating away without hindering performance. Also includes utility tie-downs and a front camera mount. Many paddleboard manufacturers are built around the idea of a male rider of average height and weight. But the average woman is shorter and not as strong as the average man. Height and weight play an important role in determining how well a paddleboard will work for an individual. The Misstyk is designed exclusively for female riders. The rail curve, or board shape, is designed for maneuverability without sacrificing stability. The board supports up to 190 pounds. The female-centric design doesn’t mean the board has strength limitations. You can comfortably take this board into rough, choppy water. The fin helps keep the board steady. Plus, the board is constructed with just a slight amount of give so it can flow with the water while still providing the rider with a steady foundation. At just 26 pounds, this ten-foot board is easy to carry. Most women should have no problem lifting the board up and attaching it to a vehicle. Setup is minimal. You basically have to screw in a few fins. Maintenance is also pretty simple. You can wash the board down with your garden hose. Although the board is 10 feet, it’s also lightweight enough to easily store in a rack on your garage ceiling or similar out-of-the-way location. The epoxy and fiberglass construction is resistant to minor scrapes and scratches. But you will want to avoid areas with sharp rocks, thick brush and other underwater hazards. The surface of the board can be scratched up, which isn’t easy to repair. As a non-inflatable, you do run less of a risk of a puncture completely destroying the board. Quality construction – Unique Vacuum Bagged Construction process fuses materials together. Lightweight – At an easily portable 26 pounds, you don’t need a need a lot of physical strength to carry the board or even lift it over your head. Solid – Two layers of epoxy and fiberglass plus bamboo create a sturdy board built to last. Comfortable – With a board width of 31.5 inches you’ll have plenty of surface area to stand or kneel comfortably. Stylish – Black, white and blue design creates a bold, contemporary look. Versatile – Design is suitable for practically all bodies of water including lakes, rivers and even the ocean. 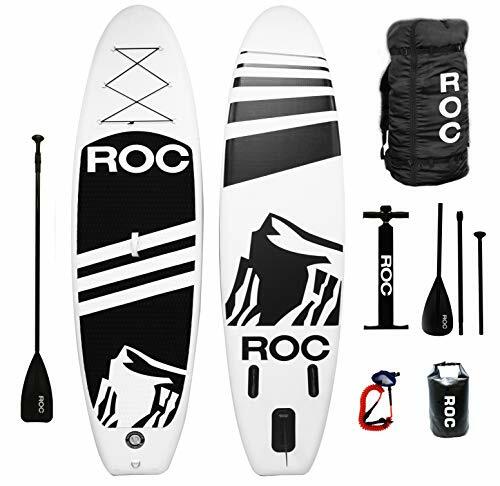 Accessories included – You won’t have to shop for extras because this board includes adjustable carbon paddle, stabilizer fins, rail fins, fin hardware, 10-foot cord leash and board bag. Designed for women – The lightweight design is perfect for the relatively smaller size and shape of the average woman. Smooth – Flatter rocker and nose let the board glide across calm bodies of water. The Misstyk Paddleboard has quite a few interesting selling points. But how does it actually perform in the water? Let’s take a more in-depth look at what actual customers are saying. Overall, most women who use the paddleboard seem to like it quite a bit. They have a few complaints here and there, but generally seem pleased with their purchase and consider it a good buy. New paddleboard users felt comfortable. Many said initial setup was minimal and intuitive. Rail and back fins needed to be screwed into the bottom of the board. Other reviewers mentioned how natural the board felt to use. After just a few minutes kneeling on the board many users said they felt comfortable standing. Plus, at just 26 pounds, the board is easy for practically everyone to lift. Reviews praised the solid construction, including the real bamboo finish. The style of the board is also well-received. The pleasant swirls of blue and gray create a calm, contemporary look which is right at home in any body of water. Many reviews mentioned difficulty connecting to Jimmy Styks customer service. Apparently the company can be hard to reach by phone. However, others had a quick response to emails. If you have a question about assembly or the included warranty, skip a phone call and send an email instead. Generally, usersreally enjoyed the construction and shape of the idea. While some people had initial difficulties reaching the company, generally customer services issues seem to be handled eventually. Most users had no reason to reach out in the first place, due to the board’s unique Vacuum Bagged Construction method. Paddleboard riders come in all shapes and sizes. Many women struggle to find a board which fits their body frame. Finding a board which caters exclusively to women can be a breath of fresh air for many paddle boarders. 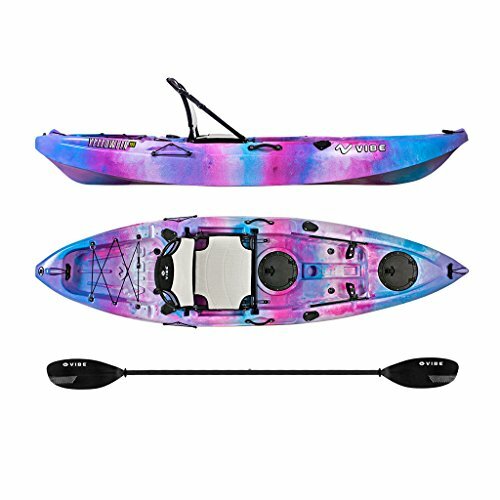 The Misstyk is a great choice for any female paddle boarder. A lightweight 26 pounds, this board is easy to carry and store. Supports up to 190 pounds. But don’t let this board fool you. Even though it’s lightweight, it’s extremely tough and buoyant. The epoxy construction includes an inlay of strong bamboo. The 31.5 surface width provides plenty of space for standing, kneeling or sitting. To be clear, this board probably isn’t for everybody. But it’s not supposed to be.When a board is designed for your specific shape and size, it’ll go faster, be easier to control and just generally feel more natural to use. If you’re a woman looking for a lightweight, powerful paddleboard designed for your unique needs, the Jimmy Styks Misstyk Paddleboard is an excellent option.